A Master Breeder herd, Velthuis Farm is a family operation working with elite cow families such as Ashlyn, Atlee, Elegance, Lila Z and Lead Mae. They also can be credited to helping develop a very special young sire, Maple-Downs-I G W Atwood. Faith shines in the show ring again! Several elite cows entered the ring at the Royal Winter Fair.. We would like to highlight Meadow Green Absolute Fanny-Red EX-94 for being named GRAND CHAMPION of the Red & White Show at the Royal Winter Fair 2017! Fanny also placed 2nd in the Black & White show... Congrats to Triple-T Holsteins, Mike Berry, T & L Cattle, Frank & Diane Borba & Carol Borba. Silverridge V Shot Earring is the #1 GPA-LPI Female (Canadian-Owned) between 9-30 months of age. Also in the Top 25 are two Silver daughters from an exciting young and fresh McCutchen at Claynook, View-Home Mcc Found. Found is the full sister to Monterey! Congratulations to Velthuis Farms on their recent Junior Champion win at the 2013 Quebec Spring Show with Velthuis Jasper Janice. Janice was the winning fall yearling and was nominated All-Canadian and All-American Fall Calf in 2012. Top 25 New GLPI Heifers (Canadian-owned) NOW ONLINE! Click here to see the Top 25 New GLPI Heifers (Canadian-owned) for May 2012 and sired by a variety of the industry's hot sires including Shamrock, Epic, Sudan, Snowman, Bradnick and more! 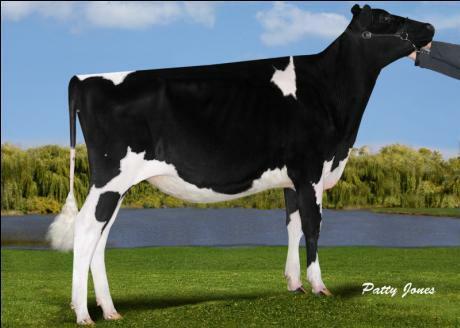 Topping the list at #1 is a Velthuis Shackleton daughter from MsChartroise Planet Leoni at GPA-LPI+3336! Congratulations to Velthuis Farms taking home the honors of Reserve Junior Champion and Honorable Mention Junior Champion at the recent Quebec Spring Holstein Show. Velthuis Jasper Janice, the winning senior calf was named Reserve Junior Champion and, R-E-W Happy Go Lucky, the second place fall yearling was named Honorable Mention Junior Champion. Visit the updated Velthuis Farms to check out the exciting Planets they are currently working with along with several others! #8 GLPI heifer following the December proof run is Velthuis SG Snowman Liann GLPI+3430 (Snowman x Planet x Gold Lila VG-87). Selling in the current Online Embryo Auction are Snowman embryos direct from Gold Lila VG-87... click here for more details. Snowman daughters continue the top the charts and top the sales as seen today at the Royal Designer Sale bringing over $80,000. Here is your opportunity to invest in genetics with global marketing demand.... two lots of Snowman embryos sell in the Holstein Plaza Online Embryo Auction and from two of the greatest cow families in the industry! Selling on Thursday, Nov. 10 in the Sale of Stars are three exciting SNOWMAN offerings from Velthuis Farms! Velthuis SG Snowman Lila - Snowman granddaughter from Lila Z GLPI+2601... FULL SISTER to Lot 4 in the Holstein Plaza Online Embryo Auction - click here for more details. Snowman granddaughter (GLPI+2702) of Durham Atlee and from the great Goldwyn Albany VG-87-2YR... type and numbers! GLPI+3088 Snowman x Planet x Shottle Silk VG-88-2YR ... the success of this family says the rest! High Scoring Planets from Lila Z family at Velthuis! Velthuis Farms enjoyed a visit from the classifier last week! Here are the results of the high scoring Planet daughters from the Lila Z family! 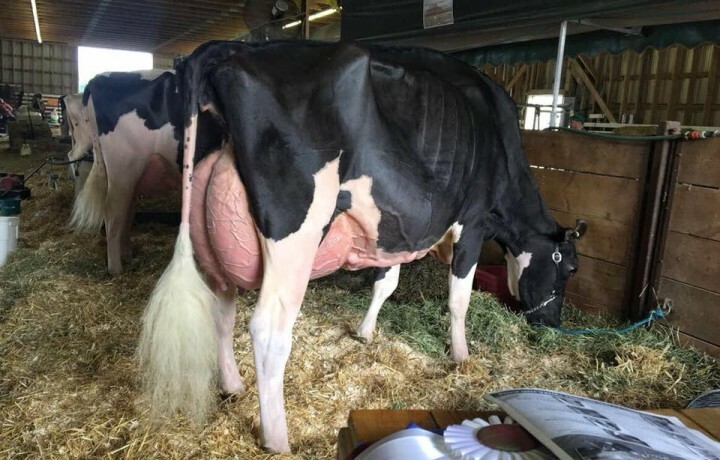 Another full sister, Ms Chartroise La Bieke-ET is also VG-85-2YR-CAN VG-MS... watch for embryos from her on the Holstein Plaza Online Embryo Auction. Selling Saturday, May 14 at the Canadian National Convention Sale are five embryos sired by Willsbro Larson or MAS from Broeks Betty... the famous Snowman daughter!